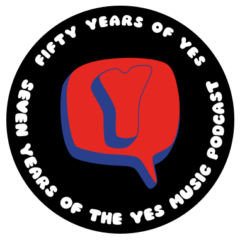 The seventieth episode of the Yes Music Podcast featuring an interview with long-time Yes fan and progressive rock visionary, Adam Sears, from the band, Lobate Scarp. Listen to the interview, then get involved with the conversation by contacting me via any of the different routes on the right hand side or by leaving a comment below! Where did that amazing name come from? What kind of music do Lobate Scarp play? A choir singing in Latin on the new album? What’s that all about? Adam Sears playing live with Lobate Scarp! Thanks Paul! Glad you enjoyed it. I’m listening to the album Like Children right now and I’m really digging it! Thanks for the introduction!